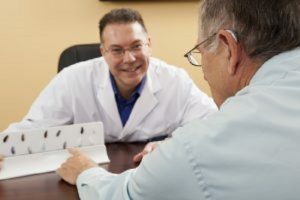 A hearing evaluation can help to determine the cause of your hearing loss! Hearing loss can be caused by a variety of different factors including something as simple as aging or a sudden loud noise. However, other times, there are medical conditions that can cause damage to your hearing as well. Here are some medical conditions that can cause hearing loss. This is when the bone in between the middle and inner ear is overgrown. Unfortunately, the cause is unknown. When you have Otosclerosis, you may experience dizziness, symptoms of Tinnitus, and hearing loss. It is most likely to occur between the ages of 11-30, with women being twice more likely to get it. There are some surgery options that can help to better your hearing. The most common cause of Cholesteatoma is a chronic ear infection. When ear infections occur repeatedly, pressure can start to build inside of the middle ear, causing the eardrum to retract. A cyst forms from this and as it gets bigger, it can cause hearing loss. Dizziness is also a symptom of Cholesteatoma, as well as some ear drainage. Your cochlea is the part of the ear that sends sound impulses to the brain. Acoustic Neuroma is when a non-cancerous tumor grows on the auditory nerve that is near the cochlea. It’s slow growing, but can begin to press on other nerves as it grows, impacting your hearing. There are surgeries that can be done to remove the tumor, but significant hearing loss often occurs as a result. Contact Bay Area Audiology Today for Your Hearing Evaluation! This entry was posted on Friday, September 28th, 2018 at 3:08 pm. Both comments and pings are currently closed.